Actually it was “business” by accident, or by fate, however you wish to look at it. Not really business, as I wasn’t selling anything. I have been with Standard Tools and Equipment Company for over 22 years now. It is a blurred line between business and passion… as my business is my passion. Working and traveling with the company over the years has been fun and I have had the privilege to see places I probably never would have on my own. I had never really spent any time out west, other than some trade shows in Vegas. So, when my son was chosen as a summer intern at a camp in Williams, Arizona, it gave me the perfect excuse to “Go West” with my wife for vacation this year. 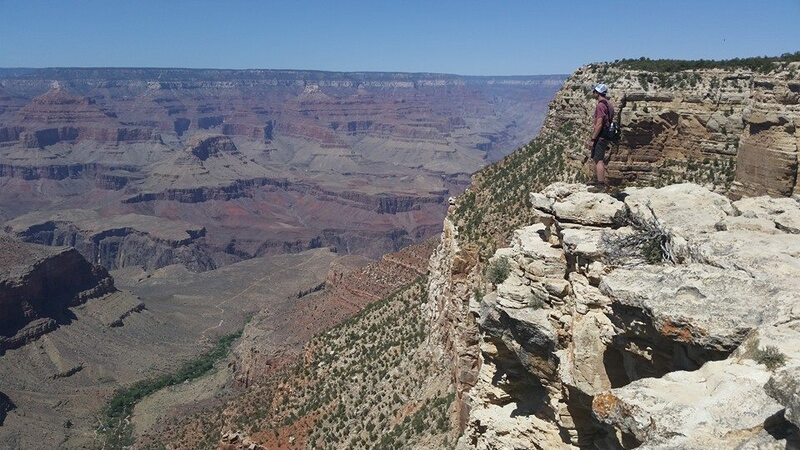 The city of Williams, Arizona is known as “The Gateway to the Grand Canyon”. 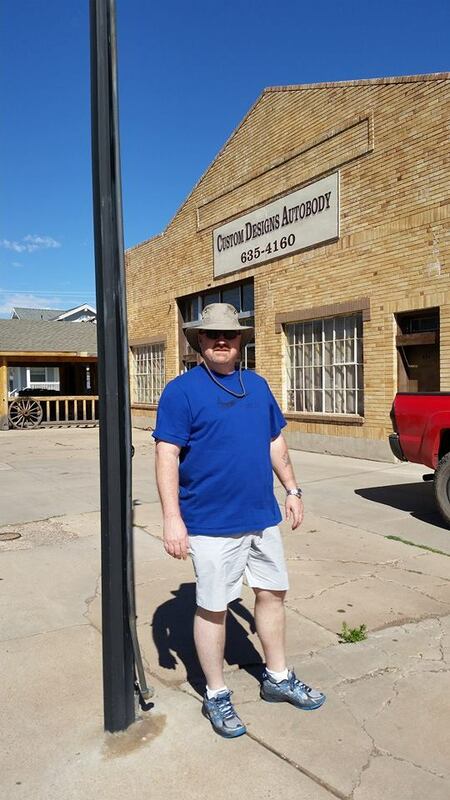 It is a small town on the Historic Route 66, only 2-1/2 hour drive from Phoenix. Williams was the last town on Historic Route 66 to be bypassed by Interstate 40. The community, bypassed on Oct. 13, 1984, continues to thrive on tourism. The Historic Downtown District covers six square blocks and boasts a rich heritage that features the Old West and Route 66 coupled with tourism trends today and the town’s heyday years of the ’50s and ’60s. On our first day in Williams, we decided to go for a walk through town. We were walking down Main Street (Route 66) and we passed Custom Designs Autobody. The big garage door was wide open… I couldn’t help myself. I peeked my head inside to see the equipment they were using (as we say in NC, you can take the boy out of Standard Tools, but you can’t take Standard Tools out of the boy). The body man in the shop was working in a paint booth and we chatted a few minutes. I would know one anywhere, a CF-1000 Cross Flow Paint Booth from Standard Tools bought in 2002. 12-years-old and they still use their booth every day! 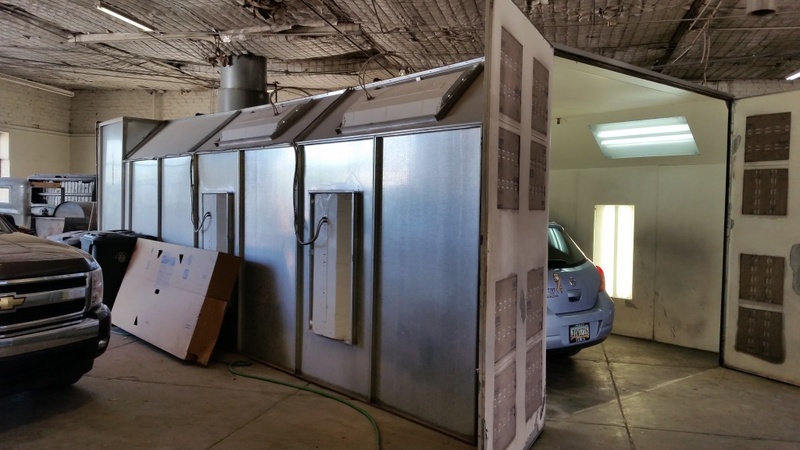 CF 1000 Paint Booth in Williams, Arizona from 2002! As an online retailer of paint booths and other related products, I often don’t get to see the equipment I sell, all set up and being used. We love it when customers send us pictures of their booth after install, or when they are using it… but mostly they are too busy painting to send photos on. I am never surprised to hear where the next booth is being shipped. We have them all over the world. I wish I could travel to see every single one of them…. oh, the places I would see. We continued our vacation to the west coast, driving down the Pacific Coast Highway for a week. 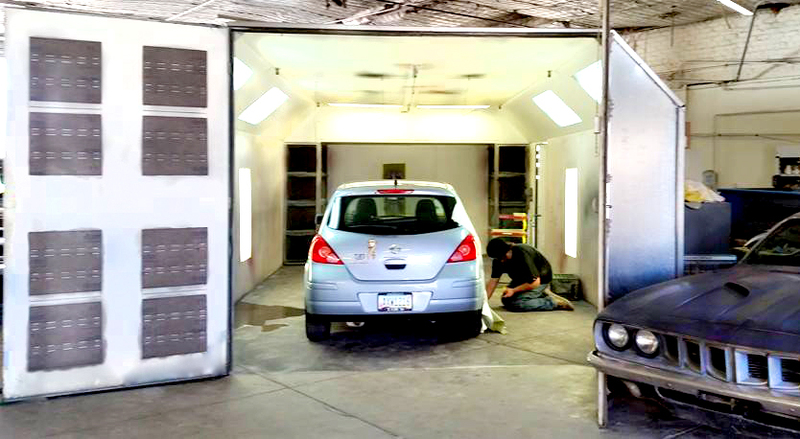 Because of this little business & pleasure encounter though, I couldn’t help but look for all the body shops along the way….hoping to see through an open garage door and catch of glimpse of one more of the thousands of booths we have sold across America over the last 17 years. 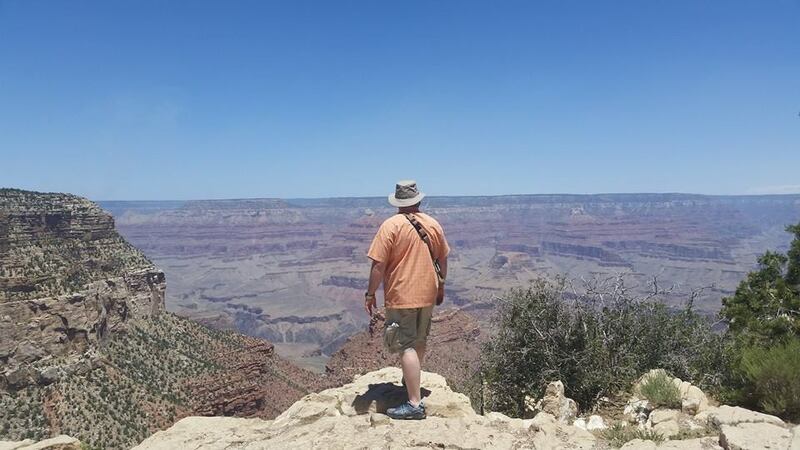 I have included a few pictures that I took that day and a few more from the Grand Canyon itself although pictures can never capture the magnificence of seeing it with your own eyes. Previous Previous post: PAINT BOOTH PRICE — JUST TELL ME!!! Next Next post: If it doesn’t challenge you, it doesn’t change you.